This personal blog is the first runner up in the peace, justice and security blog competition. 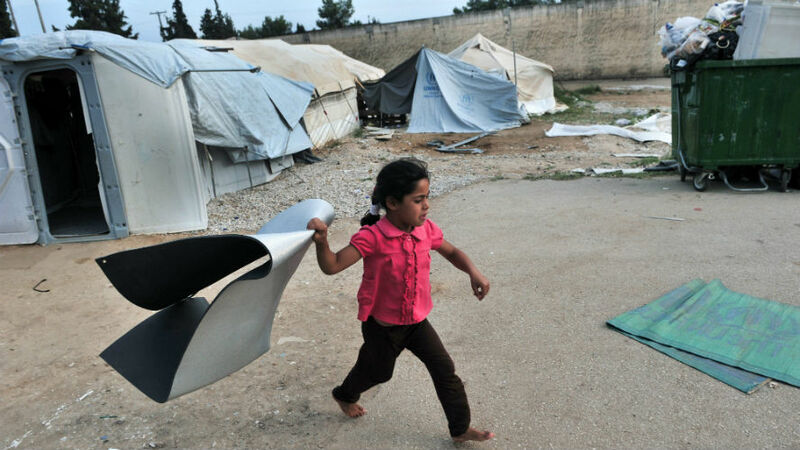 * The author, a Master’s student, describes her visit to a refugee camp in Greece and the memories it sparked off about her childhood in Palestine. A tank, swords and blood: Drawings by children in a refugee camp. I was speechless when I saw them! To be honest, what should I have expected? Thinking about the journey a child had to experience before he could draw it on paper. How does this child think about the world? What are his fears? Most importantly, what does his future look like? While browsing through my drawings when I was in kindergarten, I saw that my drawings were revolving around three ideas: the roses in our small garden, the mountains in our village and birds. Today, when I looked at these drawings, I asked myself for the first time in my life why was I drawing birds. I remember filling the whole sky with birds! Birds flying, leaving their comfort zone whenever they felt the need to, refusing to be stuck in one place, using the whole universe as an opportunity to survive and feel free. The birds of my childhood were reflecting the same thing those children showed in a bloody way. I wanted to fly high. I did not want soldiers to decide when I should play outside or when I should be grounded inside. Birds own the sky because there are no limits there, no borders based on nationalities, no conflicts and no hatred. I have drawn birds for the past thirty years of my life. I still draw them whenever I have a new pen! My drawings do not reflect my childhood, but dreams did. When I saw that drawing of the tank, as if it were yesterday, I remember all the nights I woke up to look through the window to see if there were any soldiers moving around in my village. And when I was extremely frightened, I would go up the stairs to check from the roof. Maybe I was lucky that this expanding use of media did not exist when I was young because I did not witness huge massacres. Yet I lost many beloved neighbours. Whenever I asked where they were, the answer was in prison. Then I was drawing those birds, hoping that my dear ones would fly one day! No child on earth deserves such a distorted childhood. Do you know what it means to grow up in a conflict region? Do you know what it means to wake up during the night and have to look out the window? I will tell you what it means. It means that you will live for the rest of your life hating what caused your pain. Yes, I hate soldiers, whatever their nationality. I even hate the people who take photos with soldiers! I imagine my free Palestine without soldiers. “I give half of my life for what makes a crying child laugh, and I give the second to protect a green flower from perishing,” wrote Tawfiq Zeiad, a Palestinian poet. Today, I taught the children how to draw birds. We will fly away from all those who smashed our childhood! 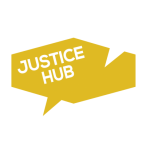 *The blog comeptition was organised by Justice Hub in conjunction with the Peace, Justice and Security Foundation in The Hague and AYINET. Victor Ochen, the UN Global Ambassador for Peace and Justice (SDG 16) and executive director of AYINET, selected the best blogs. The winner of the competition was Mirza Mustafagić from Bosnia and Herzegovina who describes his experiences during the war in the former Yugoslavia. The second runner up was Eddy Ashioya from Kenya who wrote about how he survived the Al-Shabaab attack on his university which left 147 young students dead. His will be published on Justice Hub on 8 September 2016. An overwhelming number of submissions were received from around the globe. Thank you to all the participants.